The whole reverse engineering process just seems questionsble. If you can learn a technique like Hiraishin by just "reverse engineering" it then it loses it's recognition as a lethal technique and becomes equal to the bunshin jutsu, a technique that is only effective if you know how to use it. If this is being accepted then Hiraishin is as good as mine, not that I want it. Reverse engineering isn't even simple enough for this to be possible since each Hiraishin user has their own seal, from my understanding, making it almost impossible to decipher the technique unless you are the person himself. Also it isn't a machine where you can take it apart and figure it out. It is a sealing formula which could just be something the user made from the top of his head and can't be found in any scrolls. So Shadow( or Madara >>) would be right in not understanding how it works because no one is giving a good enough reason for how reverse engineering the technique is a valid option. Anyone up for reverse engineering Edo Tensei? Every technique is limited by the experience and expertise of the user. Even hiraishin. 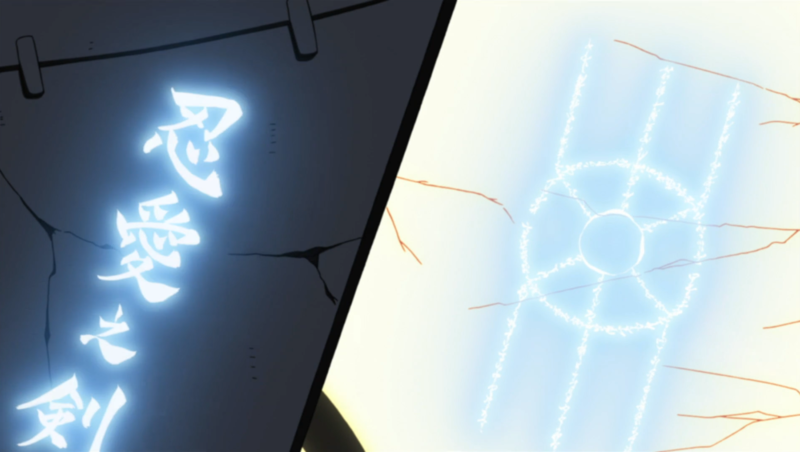 Minato and Tobirama both have two very district sealing formulas, giving enough reason to assume that each user is capable of wielding their own seal. And you can't teleport to another user's seal unless you have linked yourself with them. Even if they can wield their own seal, it's still the same technique. The only differing parameter is the chakra as far as I'm concerned. The only way anything else could be significantly different would be if Minato discovered hiraishin completely on his own, in which case that's an even greater sin than pirating the techinque imho. Additionally, how you link yourself to another's hiraishin network was shown long after Tommi had invented a way to hack into other people's hiraishin, and still, to an extent, holds up even after that to some extent. If this is gonna be allowed, someone should edit the wiki, written by Dark on the wiki. "As they're composed of chakra, all Hiraishin seals are able to be sensed or viewed by those with sensory or ocular prowess, respectively. However, the Hiraishin seals cannot be reverse-engineered, copied or cloned in any way." I don't care if it's allowed or not, but if it is, this should be changed. That way Kayenta isn't in direct violation of the rules, and thus could stop being pursued by people following the "rules". Though I do see where they're coming from, as I'd defend the Edo Tensei rules if they were broken. As I'm on my iPhone and haven't actually been able to figure out the wikia's mobile format, I cannot see when that article was updated last. However! I am fairly certainly that it was edited after the fact when Dark tried to strip Kay from having the knowledge of it. Would have to ask those two to get on and comment to find out. I don't think most people care if Kayenta has it or not. She's not someone who'll flaunt it around or even use it let alone teach anyone else it. Though I'm speaking what I think and she may think differently, but that's just the way I see her with it. Like she said, she has only ever used it twice. So yup, yup! I understand your logic and reasoning Kay, but idk, I just think some jutsu need to be wrapped up. Not to exclude other players, but because abuse level is high for those specific jutsu. I mean with hiraishin, it doesn't matter to me, it's too far gone. I mean Edo Tensei is like that where you can't teach it if you're master is alive (Note I no longer have Edo, so I'm not just saying it to keep it to myself). So I certainly think some jutsu needs to be limited, though I will say that I don't agree with everything on the claimed list, so things/most need to be open for everyone. But if people do accept you as using hiraishin, I say remove that rule from the wiki. No sense in having a rule, if it's false. But people will keep rolling how they wish, so matters not to me. I agree with Trev. 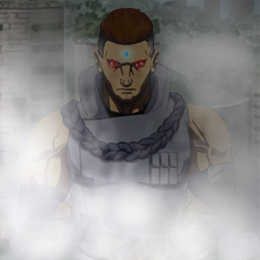 I don't really care who has the jutsu, what doesn't sit well with me is how easily the jutsu is coming to be obtained. I actually take an engineering class at my school so I know how the whole thing works. Science and math. Tons of it..
Back to the point, whoever has the technique now is irrelevant to me. I just want it to be so that a ton of people do not have it at some point that it loses its worth, kind of like sharingan.. Although it is probably too late. I make believe Kayenta has the expertise to do this. I actually write an rp, extensive rp, to go through all the hard work of figuring it out. 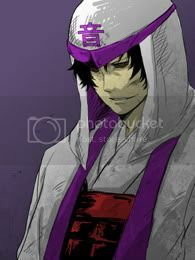 And I accomplish it before some 'owner' of the canon jutsu decides I am no longer good people and that a rule needs to be created to say it's impossible to be done...they make believe that Kayenta cannot. It is reasonable in the real world that I can decompose a compound down into its components and identify them, then take those elements to create the compound anew. Well, if all the water came from the atmosphere, you might could find a scientific explanation for how you can shoot that much water at high pressure. I tried to stay away from this thread because all this bickering is just asinine, but I read this and had to post. That's really, really stupid. You know how much water would be required to blow water out of your mouth stronger than a firehose? Basically, you'd end up making the whole city (maybe more) around you completely dry. Probably have to pull moisture out of the soil too to get it to work. People should stop trying to force science into a fictional world where it doesn't belong...And this is coming from a guy who RPs as an android. One shot wonders are still wonders, especially if caught on camera. It would also probably be pretty tiring as well, cause you know, magic is unexplained science much of the time, not to mention it would be more practical to do it near a large water source in a humid area instead of trying it in a concrete jungle with variable humidity. I don't joke off topic very often, but when I do, I tend to get the cricket audience's applause. I think I am starting to prefer the crickets. It's never too late, because there could always be more users of it. I was explaining what engineering was, no need for the autobiography. Although I guess I got a better understanding of what kind of person you are. Which is cool too. Locking. If you have a good reason to re-open message me.